This Web page at Patches' Place is intended to complement and supplement the video information found at the Hightide video description page for Good to the Last Drop. 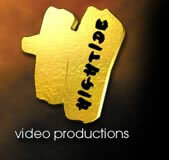 Please refer to the Hightide site for the official video description. Summer is here and so is the heat. And we are not just talking about the weather. Sigrid loves the sweaty feeling of latex on her skin and what better way to cool down than in an inflatable pool. Of course, our horny piss girls don't feel like filling it up with plain water. Golden champagne is the word and when fellow rubber and urine lovers Linda and her friend show up for the party, the perverted piss games can begin.